The JRC has now moved to replicate the MENTOR model throughout the United States and the world. 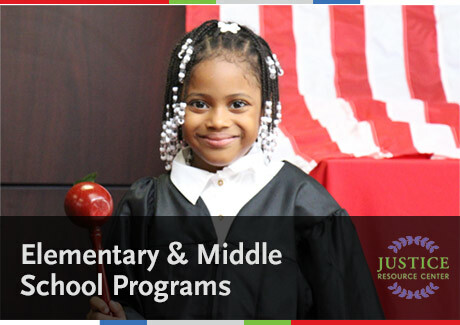 The JRC MENTOR model pairs law firms with public schools. Lawyers participate in school visits, court visits, coaching a Moot Court team, and hosting students at their law firms. To date, 20 pairs across the U.S. have signed on. The following countries are also participating in MENTOR: Russia, Venezuela, The Hague, Netherlands, Poland, Argentina, Bulgaria, Georgia and more will be added this year.